Leading Uninterruptible Power Supply (UPS) manufacturer, CENTIEL, has teamed-up with G4S Secure Solutions to provide critical power protection services for clients based on the Channel Islands. With CENTIEL’s 4th generation, three-phase, modular UPS system now successfully deployed in two data centers on Guernsey, G4S Facilities Management’s engineering staff are undergoing extensive technical training to be able to provide first level support, PAN Island. Wayne McKane, critical power and HVAC engineer, G4S Secure Solutions confirms: “We chose CENTIEL as our partner and trusted adviser to deliver these important projects as the company is a leading manufacturer at the very forefront of the industry. At the start of 2018, we were looking for a truly modular solution to ensure efficient running and maintenance of systems within data centres, where our staff could be easily trained to exchange modules if required. We were also looking for the very latest technology to ensure maximum availability combined with a low total cost of ownership and CENTIEL ticked all the boxes. 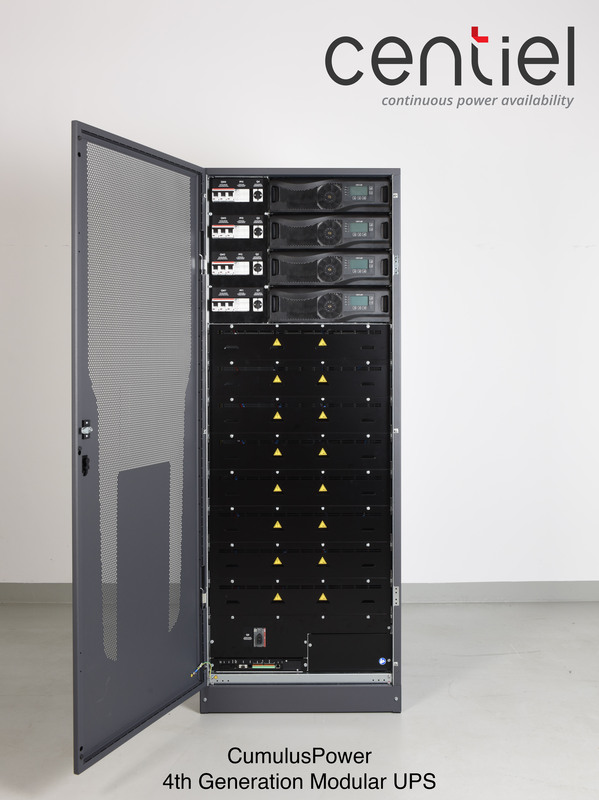 CumulusPower known for its “9 nines” (99.9999999%) system availability and low total cost of ownership through its Maximum Efficiency Management (MEM) and low losses of energy, has now been installed in datacenters and comms rooms in over 60 countries across five continents. More than 50 MW of critical power loads are now protected with CumulusPower in locations across the world including: the UK, Singapore, Australia, Germany, Spain, the Czech Republic and now the Channel Islands.